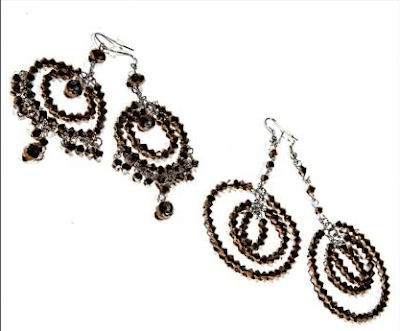 My first giveaway will be a gorgeous pair of crystal earrings from This & That. I am wearing a pair today and they are spectacular!! To win, simply leave me a comment with your favorite mood board found on their website. Winner will selected at random and will be announced next Monday! I like the Beyond Natural Mood Board - those chandelier earrings are insanely beautiful! They are so cute! My favorite is Dream Weaver. Love the colors in Dream Weaver.